Even after it matures sexually a wombat continues to grow slowly for several years, the body becoming even bulkier than before and reaching a weight of as much as 40 kilograms. The ears, which in the first year of life seemed so large, now appear almost too small for the great broad head (Figure 6.13). 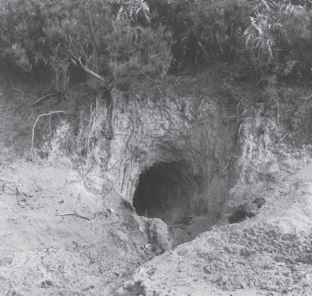 Figure 6.13 The changing face of the wombat. 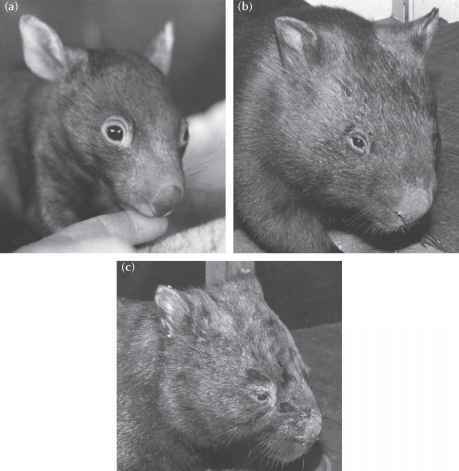 The same wombat is shown at eight months (a), at 18 months (b) and at four years of age (c).